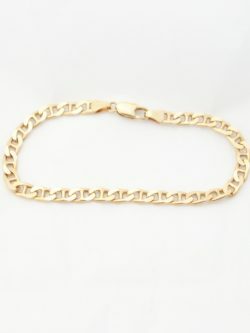 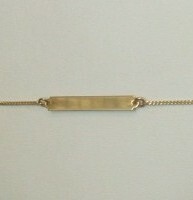 A solid but delicate 18k yellow gold bracelet that was made in Italy. 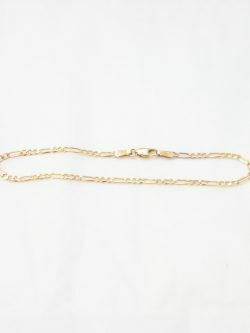 It has a lobster clasp closure. 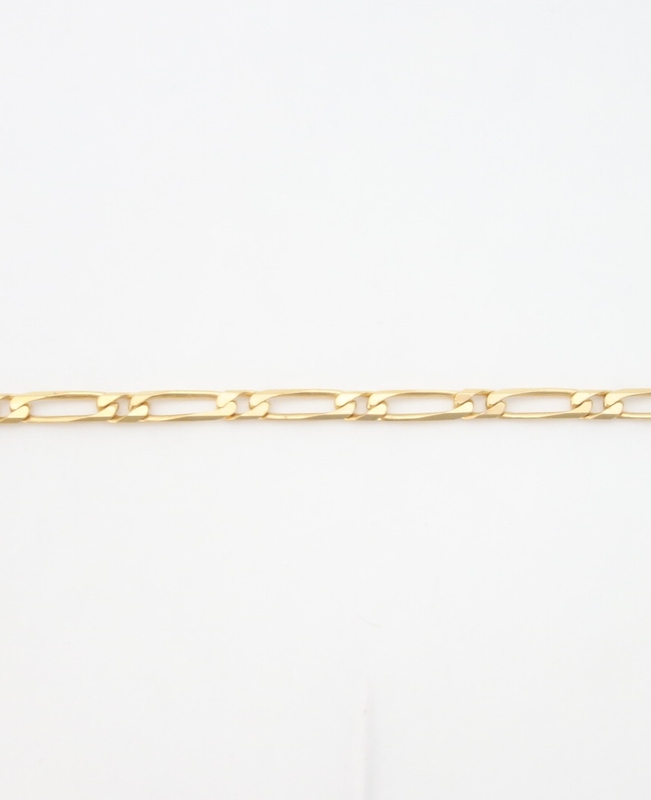 The bracelet can close in any of the longer links, so if given as a gift to a child, they can wear it and it can close on a different link as they grow.